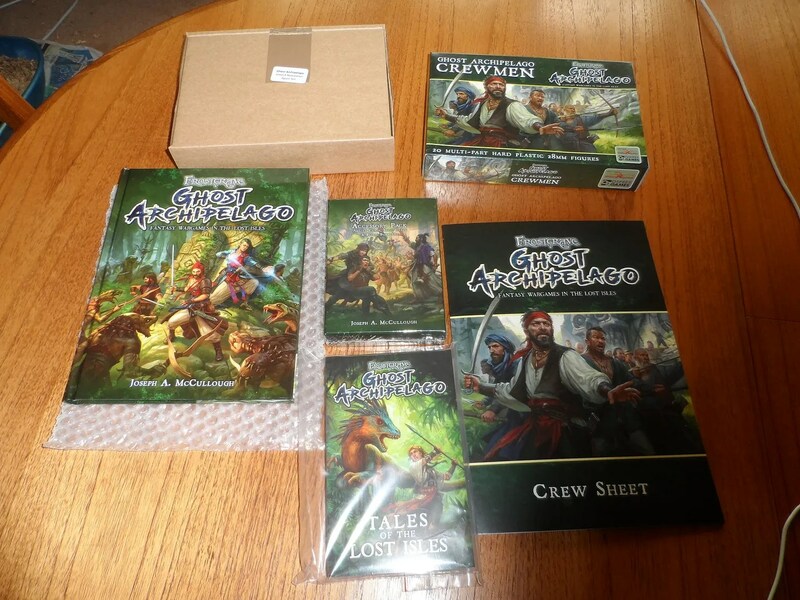 Frostgrave’s first spin off has arrived: Ghost Archipelago. Jim:- When you say “gone for it”, do you mean the big £200 pack? KIY:- Looks at ground, stirs dust with foot, and petulantly says “might have”. 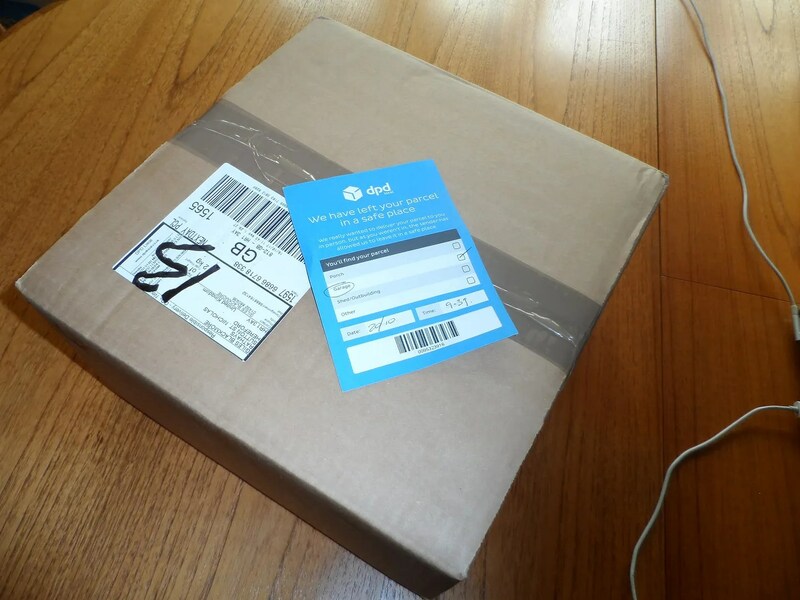 Delivered yesterday by courier, on time, as promised. The full lot. Well packed, nice and shiney. 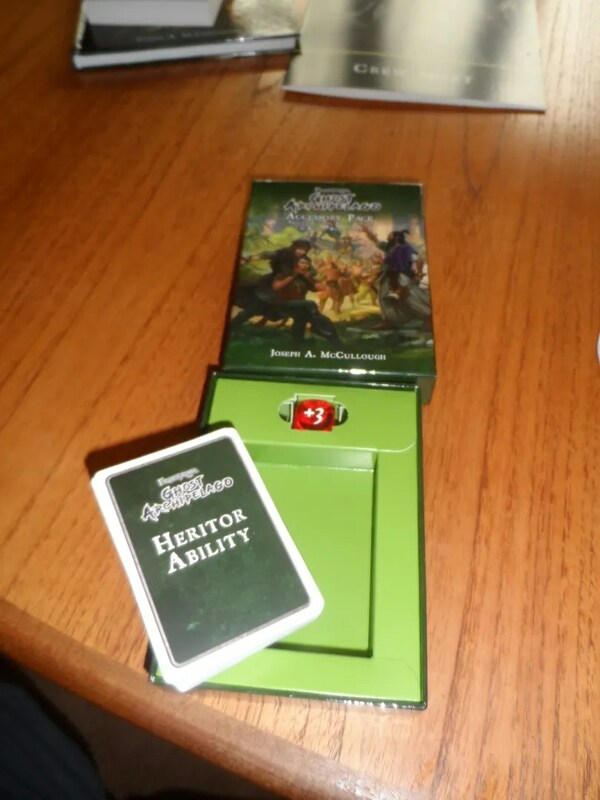 The Accessory pack, cards and a special dice. The cards cover Heritor and Warden abilities. Minor niggle, they should have different backings so you can distinguish them. 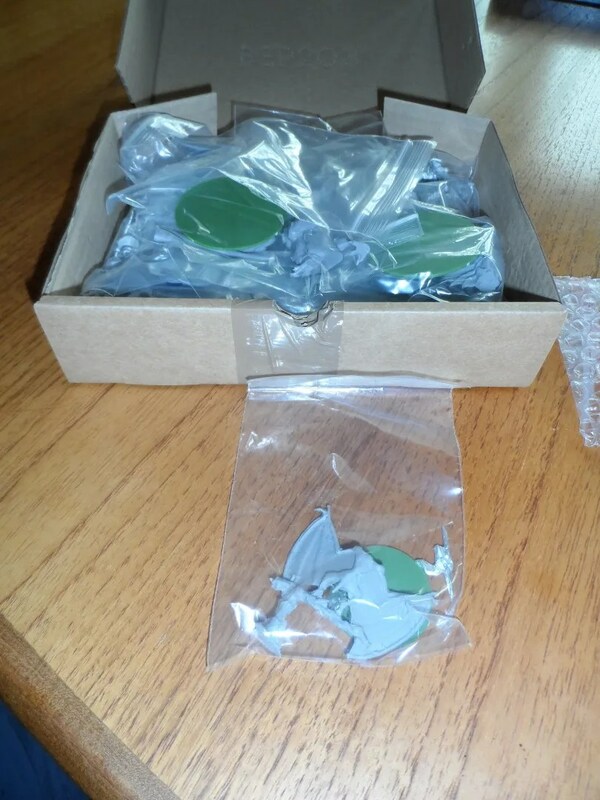 The really shiney stuff – the figures. The large critters (dinosaurs) are resin, with metal add ons. The figures are well cast and I’ll review them tomorrow now I’ve unpacked them all. IN particular, I’ll look at the plastics and compare them all with the frost grave and other figures most of us already have in our collections. There are also 5 unique treasure tokens which are already the stand out items for the extra items – very nice pieces that would benefit many many games. 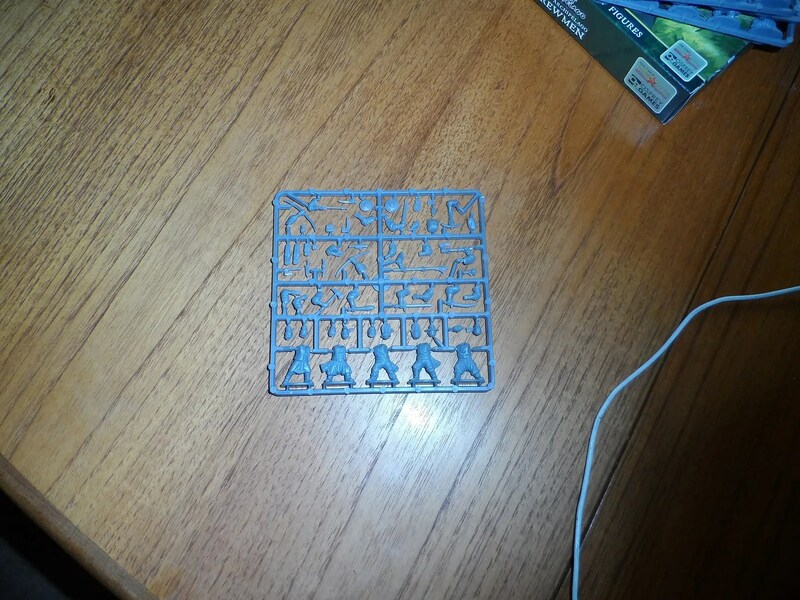 The plastic crewman sprue, very piratical. A quick read through the rule book shows it is very similar to frost grave itself but has significant changes, not least, there’s less treasure in normal games. I’ll be giving it a bash tomorrow for a quick play test and photo’ing the figures now I’ve got them out and based them up. This’ll be raw metal, plastic and resin I’m afraid. An hour’s pinning session with Richard this morning and associated travel completely precluded any notions of painting ! There’s quite a lot to say and nearly all of it is positive.